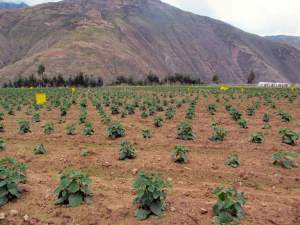 Peru’s Ministry of Agriculture (MinAgri) projected that this year a 8% growth in exports is expected. The majority of growth comes from Asian (53%) and European (12%) markets. “The export sector is doing very well and Peru is the country with the third largest growth in exports among more than 200 countries” according to Foreign Trade and Tourism Minister Eduardo Ferreyros. Peru’s superfood exports such as quinoa, cacao, maca, blueberries, yacón, sacha inchi, lucuma and avocado’s continue to push Peru’s agricultural exports on the global marketplace. Peru must maintain an exports growth rate of at least 15% in the coming years to reach the Government's target of doubling shipments by 2021. According to the World Economic Outlook, released January 2018, the International Monetary Fund (IMF) has raised its Peru growth forecast for 2018 from 3.8% to 4%. Making it one of the fastest growing economies globally. The United States will expand 2.7% this year, whereas China and the Euro Zone will grow 6.6% and 2.2%, respectively. The superfood export focus on the growth markets will ensure Peru’s dominant superfood position in the global marketplace. OrganicCrops is an agricultural trading company from Huanuco, Peru that specializes in cultivation, marketing and exporting organic products such as Quinoa, Maca and Cacao. Quinoa, Maca and Cacao from Peru!